MARIANN GERWIG, GC, HI, CAM, CAM CONTINUED EDUCATION INSTRUCTOR, DIRECTOR OF FINANCE AND OPERATIONS AT CAROUSEL DEVELOPMENT & RESTORATION, INC.
Mariann Gerwig, GC, HI, CAM, CAM Continued Education Instructor has been the Director of Finance and Oper-ations at Carousel Develop-ment & Restoration, Inc. since 1988. 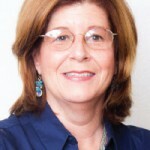 For more information, contact her at (561) 272-3700, e-mail mgerwig@cdri.net, or visit www.cdri.net. Mariann has also been the Chief Financial Officer for Aluminum Design Products, Inc. since 2011 you can contact her there at mgerwig@apdinc.biz. Mariann was part of the Ad Hoc committee in 2000 and continued on as a director for nine years at her own association..
Legal representation that is experienced in this type of transition. Management companies to interview in order to assume the financial responsibilities. Accounting firm to audit the financial records turned over by the developer. Financial institutions to transfer the association funds held by the developer. Insurance broker to obtain quotes on property and general liability coverage as well as Directors and Officers coverage. In addition to these duties, it is recommended that you meet with your local building department and make sure that the developer has satisfied any requirements the city may have had of them. Do a site survey to make sure that items such as the final coating to roads—which is usually left until all construction is done—cleaning of any sewer lines, cleaning of any man-made ponds or lakes the developer may have created, and landscaping has been completed. Florida currently has a four-year statute of limitations period for the filing of any construction defect cases. All budget, financial, and tax records for every year that the association has existed. Check to see if the developer has funded any reserve accounts for the association. All contracts that the developer encumbered the association to. Current and past owner records, including approvals or denials of improvement requests. Site plans of the development.